“I filled out my son’s sleep profile after buying her sleep package and waited anxiously for Violet’s reply. 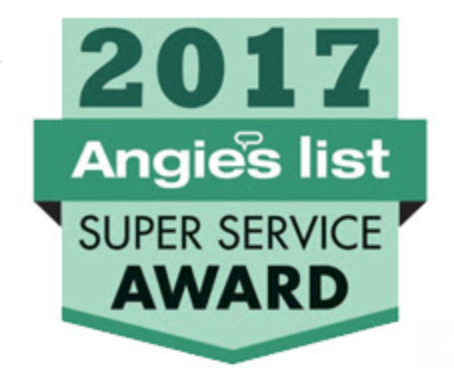 She was very responsive ( we received our plan within 24 hours) and the sleep plan was extremely detailed and educational. She went on to explain about sleep schedules, max wake times based on your child’s age, a good sleep environment, feeding for hunger vs. comfort, lovey’s, self soothing techniques etc. I had no idea about any of that stuff and was so glad she shared all of this information with us and it made so much sense after we read it. Within 3 nights our son was putting himself to sleep for both naps and bedtime. Yes, you read that right, he was putting HIMSELF to sleep, it was amazing. The first two nights were rough, but he went to sleep on his own and that was the whole thing we were trying to teach him. By the third night he fussed for about 5-10 minutes ( not crying, fussy) and then put himself to sleep, it was amazing. 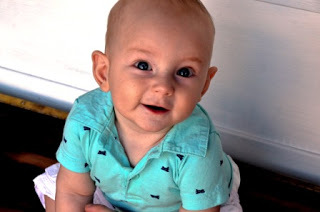 Within a week, he was putting himself to sleep, taking 1-2 hour predictable naps, and going to bed at a good predicable bedtime and only waking up once at night to nurse and would put himself right back to sleep until the morning. “I am so grateful to Violet for her guidance, wisdom, patience, confidence, and calm. I am a very organized mom. I have a detailed spreadsheet of my baby’s sleep since she was about four weeks old. I worked very hard on helping my baby sleep well. But at some point, our baby hit a regression and I felt like we couldn’t see our way out of it! I’m so glad I consulted Violet. This first consult was a two-week email package, when our baby was almost 5 months old. It was a perfect length of time to get my baby on track, and then start to return to “normal” life and see how she adjusted to occasional interruptions to her ideal schedule. What a wonderful learning experience! My daughter had been sleeping through the night just fine. But then suddenly, she was waking up almost twenty times a night! My husband and I struggled. We wanted to be nurturing and loving, but we couldn’t see an end to this situation! Within four days of Violet’s guidance, our daughter was back to sleeping on her own. Also, significant to me was that, in spite of all my reading and research, Violet taught me SO MUCH. Our daughter learned to become a very good sleeper, and I learned how to help her learn. Then, about a week ago, my baby’s naps started to get a little wonky. After almost two weeks of this, I decided to contact Violet, this time a one-week consult via texts. Violet guided me every step of the way, and it became very clear that this was exactly what our daughter needed. A week has gone by, our daughter is on a fantastic sleep schedule, and most importantly, she’s well-rested and happy. I was very satisfied with Violet’s response time, her thoroughness in answering questions, and her organized way of understanding and delivering information. And on top of that, she’s very kind and understanding. My daughter was 9 months old and I finally decided that I had enough sleepless nights and naps were no break for me either. I was feeding P at least four times through the night and naps were only 30 minutes long. So, my husband and I found the Sleep Baby Sleep website and decided to use Violet as our sleep consultant. We decided she was our best option because she was the most reasonably priced consultant we could find that offered so much more than the others! We weren’t disappointed either. Violet gave us great information and a plan that was easy to follow. We loved getting the daily support and quick responses to our questions. Within a few days our daughter was sleeping 12 hours a night and her naps got longer!! We couldn’t believe how fast it worked and wondered why we had waited so long to get help. It is amazing what night after night of good sleep can do for a family! Thank you Violet for offering your time and experience to help our family catch those extra zzzzzzz’s! I saw unbelievable improvement in my baby’s sleep within 3 days of starting the plan. This is amazing to because my baby never slept a full night for the 7 months she’s been alive! She was very dependent on me, nursing, and a pacifier to fall asleep. Before I reached out to Violet, the baby was sleeping in my bed and still waking multiple times per night- I was at my wits end and knew something had to change, I just didn’t know how to go about it. I took a leap of faith and purchased a 2 week plan and wow, it was worth every penny. The first 2 days/nights were the toughest, but now my baby is sleeping through the night and in her own crib and her own room. She’s taking actual naps now too, not just cat naps. She’s more pleasant during the day and I enjoy having a predictable schedule. Of course there are still rough days as my baby’s adjusting to her new schedule, but with the 2 weeks of emails I had to Violet I was able to work through the tough times and now feel confident about what to do when bumps in the road arise later on. I cannot thank Violet enough and highly recommend her plans/services to anyone struggling with infant sleep. Violet is truly amazing. 2 weeks- and our baby (8 months old) is sleeping straight thru at night between 8-10 hours and doubled his nap lengths (45min naps to 1.5+), as well as learned to self soothe and put self to sleep. (huge!!!) my husband and I can not thank her enough… we FINALLY feel like we can become “normal” again. Words do not describe our gratitude. Being able to get a ‘personalized plan’ specifically for our babe and situation- was great. being able to email her day or night (sometimes middle of the night :)) and get responses almost immediate every time- was truly amazing. Everyone’s situation is different. no “one size” approach fits all. We do not believe in the full blown CIO method and were looking for alternatives… anything but that…enter Miss Violet! Her knowledge and skills are expert level. My second daughter Lily had never slept more than 2-3 hours she was approaching 6 months and we were all exhausted. 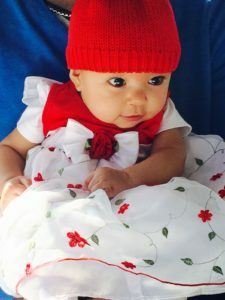 I and my family were convinced something physical was wrong with Lily as being my second child I kept thinking I had not encountered these issues with my first daughter. After seeing a paediatrician and getting the all clear I started looking into sleep behaviour and how it works. One night or morning (?) at 3pm after finding Violet’s website I felt relief in an instance, I was excited and my gut told me to go for it. I couldn’t have been more right! After working with Violet for the last 3 weeks has been great, hard at times but not as hard as not sleeping each night and having to look after a baby and a toddler. 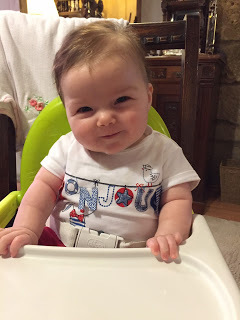 The best part for us has been seeing our baby become happier, healthier and reach milestones. Lily now loves sleeping and it’s lovely to go to her room with her looking and feeling refreshed from a good nights sleep / nap. I would recommend Violets services, my mum calls her an angel as she has completely changed our lives for the better, thank you. 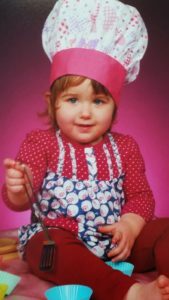 “Senne was 10 months when we asked Violet for help. By that point he had not once slept through the night. There were times that things were not quite so bad, with Senne waking 3 to 4 times a night, but going back to sleep as soon as we reinserted his paci. Believe it or not, this was hard fought progress. However, after a particularly bad bout of teething and a trip abroad we regressed back to almost newborn stage. Senne did not want to fall asleep unless I spent hours patting, cuddling and rocking him and not leaving his side. If I dared make a move for the door, he would scream the neighbourhood down. Not only would this happen at bedtime but also several times during the night. We were exhausted and so was Senne, it was a dreadful time. Violet sent us a very helpful and detailed sleep plan. 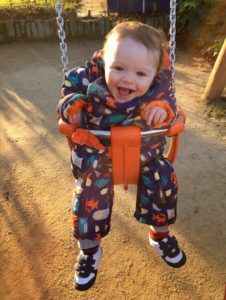 Violet responded to my despairing email with a long and reassuring reply, telling me Senne just needed to learn how to fall asleep on his own and that I would soon have a content baby who slept through the night. That very same night he slept within 10 minutes and slept through the night for the very first time! I was absolutely over the moon. Senne has been sleeping through the night since (and so have we). We are all feeling rested and happy in the morning and Senne greets me with a huge smile on his face. He is now adjusting to the 1 nap a day schedule that we introduced at the same time and he is doing great. “I am the proud mommy to two beautiful nine month old twin girls. Being a twin mommy is definitely a challenge during the day, but the nights have been almost unbearable since the girls came home from the hospital. 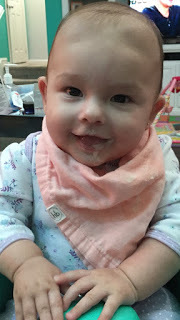 In the beginning, my girls were eating on a strict three hour feeding schedule but after the first few months, I felt like it was time that they should be able to sleep longer and go without eating so often. However, I was not able to figure out how to get them to do this on my own and this mommy was ready to throw in the towel! I would like to take this opportunity to thank you for your help, you have seriously helped and effectively transformed my life. I find it so, so, SO much easier being a mummy all day long after a full night of sleep. I was very impressed with the speed of response for each email etc. 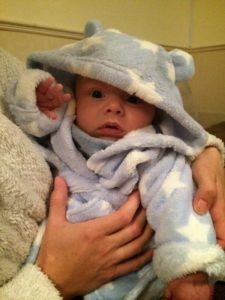 An hour can seem like forever when you are really worried about something, and knowing that your email would be there before bath time was a bit of a comfort blanket as I knew I’d have some more advice to help with that night. I have also appreciated the flexible nature of the service. Initially when I emailed you I was petrified that you were going to say that because we had tried the training on your site and it had failed after working initially, that you were unable to help us. But you have helped us to get back on track, and I am very grateful. I wouldn’t hesitate to recommend you to a friend, and if in the future I need some more assistance, you will be the one I go to. “Best money I have ever spent, cleared any queries straight away. I really felt like I had your support if I had any questions. My baby is sleeping through the night, and has done for the last 2 weeks! Thank you so much! She goes to bed between 7.15 – 7.30pm and smiles at me when I put her down! It’s a dream come true, literally! She wakes between 6.30-7am. Lastly and importantly, thank you so much for giving me the confidence to stick with it with the knowledge that the hard few nights are worth it long term. It was the best money I’ve ever spent! We are all so much happier! literally changed our lives. Before working with you my little one was sleeping swaddled in the rock n play and would wake up several times each night (and only fall back asleep if I nursed her). To make things worse, she was only able to nap while my husband or I held her and walked around with white noise playing in the background. God forbid we tried to sit down with her. Needless to say, life was difficult. After speaking with you we swapped the swaddle for a sleep sack, and started putting our little one to sleep in her crib (that before then had been used to hold her clean clothes…) at night and for naps. It took about 24 hours for her to “get used to it.” In that first week she was waking up, at most, twice per night. We no longer have to hold her to nap, and we are getting some serious use out of her crib. I will say it again, I don’t know what we would have done without you. Thank you soooo much! It’s unreal. This baby has never slept more than 3-4 hours in a row since his birth. It really is unbelievable. We really can’t believe how relatively easy it was and how great it is to put him to sleep in 10 seconds now, compared to an hour before Amazing!!! Thank you thank you! I’m still speechless!!! THANK YOU FOR CHANGING OUR LIVES!!! I am the definition of a new mom. I am worried, concerned, not sure if I am doing the right thing, mentally exhausted and constantly hoping I’m doing the right thing! One of my main concerns is sleep. 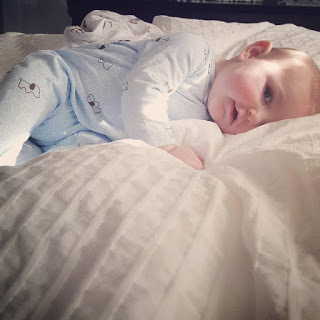 Thankfully our little man has always been a decent sleeper (knock on wood), however I struggled with transitioning him to his crib and trying to determine if our night time routine was the best for him. Violet was my go-to sleep guru. 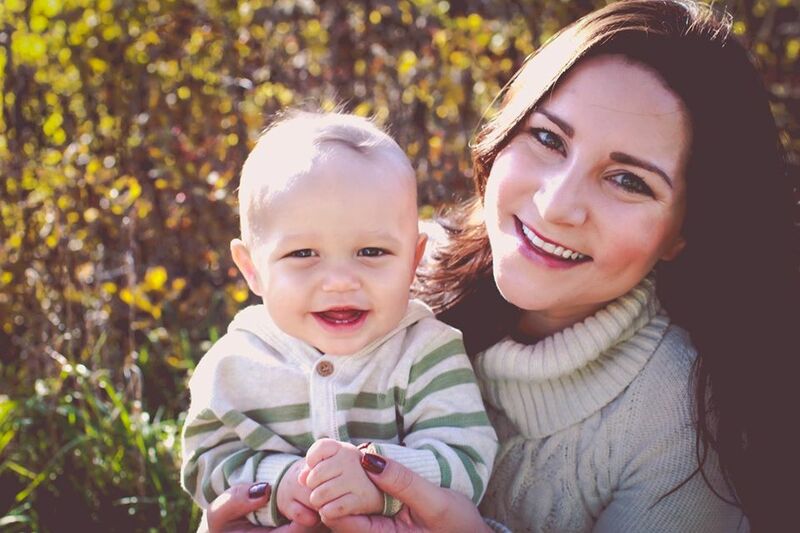 She provided me with SO much information and created a detailed plan for myself and my son. She answered ALL my questions quickly and was someone who could always give me piece of mind! It was SO reassuring knowing I had someone I could contact for answers to all my questions. Her advice is invaluable. I HIGHLY recommend you visit her website and read through all of her wonderful FREE information. If that doesn’t help, I couldn’t encourage you more to reach out to her and purchase one of her consultation packages. She helped us immensely! My little man is now sleeping in his crib and we are so proud of him! I continue to check out her site and I have her email saved, as I am sure I will be purchasing more packages in the future. When something works – you stick with it! Violet was absolutely amazing and I couldn’t recommend her more. For all those new moms out there – I PROMISE it gets better = hang in there – YOU are doing a great job! The weekend before we started our sleep training with Violet was one of the worst sleep weekends we had since our daughter was born. She was almost 8 months and we needed a solution! Nights one and two were a little difficult, but we worked through it with comfort knowing that Violet was just an email away to let us know we were doing just what we needed to be doing. On day three, we saw huge success! We were able to lay our baby, who just a few days prior, screamed profusely if we even started to put her down….and we were able to lay her in her crib and watch her close her eyes and drift off to sleep! Knowing that our daughter now has a routine that gives both her and us comfort is priceless and I know we would have never made it here without Violet! I will recommend her to everyone in the future! Our lives have changed so much for the better! I actually had my husband send me his debit card information, to sign up for consulting, because I was rocking my 11week old in his dark room, yet again, for a nap. Hearing Violets success rate had me committed. I saw results IMMEDIATELY! Everyday got better. I was worried with only emails that I wouldn’t be able to explain and get the answers I needed but I did. The first day I counted 22 emails. It was SO helpful to not only know the principles but to have someone help you actual implement them. It gave guidelines to ideas/theories I already knew and opened my eyes to my babies dependencies I didn’t see. I will be contacting Violet IMMEDIATELY when the next problem arises. I googled for 12weeks (his whole life ;)) trying to figure it out and within a few days With Violet we had it nailed down. I’m telling all my family and friends so they don’t have to struggle with their babies sleep issues! This mom thing is no joke ;). Thank you Violet! My 4 months daughter was waking up 3 times a night when I decided to work with Violet and do exactly what she recommends. The first night was very promising since i managed to put her back to sleep without nursing her for the first time. The second night she slept through the night even if both of us were waking up but getting back to sleep by ourselves. Since then she sleeps through the night. Little accidents still happen but overall life has back to normal. The nap training went really well too and for the first time last Sunday I did not leave my friends house just after lunch and I managed to make her fall asleep in the middle of the room, just following the routine. All this became even very exciting and challenging. On top of that, I can see that my daughter is much more happy and relaxed. Thank you! sleep he was a total mess. He only slept for 45 min top on his best, was a fussy baby for 24 h. He started to wake up every hour and wanted me to pick him up and stay with him but i was so tired and slept deprived so I couldn’t hold it anymore. Thank you, thank you, thank you! My son was almost a year old and still waking anywhere from every two to four hours. I was a skeptic but willing to try anything. I purchased the two week package thinking this would take a lot as I had tried just about everything. The second night my son slept from 8-830!!!!! I was beyond shocked! Violet was amazing to work with. It felt like working with one of my best friends. Thank you!!! Before I had Violet’s help, Ben was up often. The first 3 hours of sleeping every 20 minutes. The rest of the nights between 2-5 times. I was so tired and all I wanted was sleep. I tried sleep training before but I failed. A friend recommended Violet, I took a look on her page and signed up the same day for the 7 day package.The first evening was hard but after that night everything was just so easy. By night 3 he fell asleep within a few minutes without crying, and he usually wakes up once. Even naps are easy going now, I put him down and within a few minutes he sleeps. I feel like a new person with all this sleep 🙂 Ben is also a much happier little boy. I could not have done it without the support and help of Violet. I am so glad for her help. I finally have my evenings back which is AMAZING!!!! This was the best way I could have spend my money. If you struggle with your baby’s sleep, don’t hesitate, sign up with Violet she will help you! Thanks Violet. Thank you so much for all of your help. I can’t even begin to explain how helpful and specific your advice has been!! You obviously have a wealth of knowledge about babies sleep needs and I can recommend your services enough! I will absolutely use your services again in the future if I have any more questions. I just wanted to let you know how helpful you have been and how much I appreciate it! Our daughter’s sleep habits drastically changed after a week of sleep training. She went from waking every 1.5 – 2 hours in the night to only waking twice (sometimes only once to eat) in a 10 hour time frame. She now naps on her own. She used to only nap in her car seat or while being held. She also goes to sleep with little to no fussing. It’s amazing to have her on a schedule and having her sleep independently. Violet’s coaching is great because you have someone to tell you whether or not you’re doing it right; someone to give you the positive reinforcement, that I definitely needed. We were at our wits end with our 4-month old. He went from sleeping 6 continuous hours a night to waking up every hour. He wouldn’t go back to bed unless held and rocked…only to wake up 1 hour later. We read about Violet’s services a few months prior but thought since he was sleeping, we were doing ok. When that all of a sudden changed, we decided to go for it. Hands down, it has been the best decision we have made for our baby and family since becoming new parents. Violet’s advice was spot on and her responsiveness is impeccable. We can’t recommend her enough…she has been a Godsend to our family. We are so grateful to her for everything. When my daughter was born I knew I was in for it when she wouldn’t sleep in the bedside bassinet…she always wanted to be with me. Her sleep troubles started early and she would not sleep on her back. It took me a long time for figure out that she was a belly sleeper and I mean 2+ months. The sleep troubles continued…she was eating poorly, sleeping poorly and napping poorly. 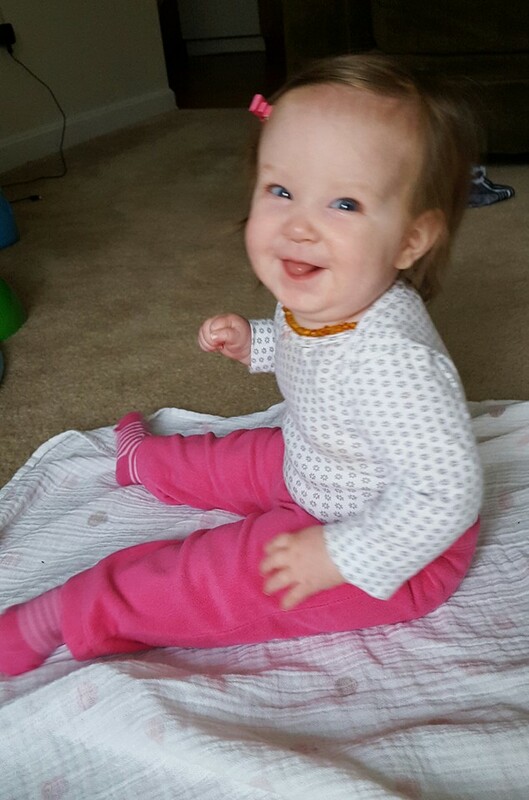 At 5 months she was waking up multiple times a night for things such as : hold my hand, pat my back give me a binky, a milk snack, etc. I was exhausted and it began to strain our relationship. I didn’t want to be around her anymore, I wasn’t sleeping and I was downright exhausted. When someone first told me about Violet I was thinking that it was neat but I’d never need it. Now it is the best money I have ever spent. My daughter Olivia responded very quickly to the program and the improvements were huge! On the third night she slept through the night and while we have had some minor hiccups along the way she continues to sleep through the night and eat well during the day. She is happier and I am happier and our relationship is so much better. I could never have done it without Violet. There is so much I was doing wrong, that I thought was right. Truly one of the best experiences of my life and a lifesaver. My baby is so happy now! y without needing me or his bottle. Monty has been a good sleeper since he was born but he needed a little help to master the skill of falling asleep on his own. He is still perfecting his self-soothing skills but has made significant progress compared to before we worked with Violet. The biggest change though was my toddler, Emmett. This was unexpected given I did not have him in mind when contacting Violet. My husband and I pretty much accepted the routine and wakings surrounding our older son. It was after working with her on Montgomery that I wondered if she could help change a few bad habits that had formed with Emmett – the biggest being how he wanted me or my husband crib-side to fall asleep. We’d put him in and hang around until he was slipping into slumber. Usually he’d wake once in the night calling out for us to come “hang out” again until he dozed back to sleep. He caught on very quickly because by the second night when he was put in his crib and my husband walked out, all we heard was a big lazy yawn, some rustling around, and then SILENCE! My jaw dropped in disbelief. It’s been a week now of going to sleep with no problems and no wakings in the middle of the night!! I’m still awe struck! Thank you Violet!! Violet completely changed my life. I am the mother of a 4 month old whose sleeping patterns weren’t terrible, but were definitely not great. He would go to sleep at around 9:45 at night and would often sleep until 5 or 6 in the morning, waking some nights. The problem for me was the lack of napping. I would read on blogs about mothers who were complaining that their baby only slept for 45 minute stretches. I WISHED my baby would sleep for 45 minute stretches. The only way to get my LO to sleep was by vigorously rocking his stroller and by continuously rocking his stroller throughout the entire nap. And even then, his naps only lasted for about 20 minutes at a time. If he didn’t get enough sleep during the day, he would wake up multiple times at night. So I spent most of my day everyday trying to get my baby to sleep. Developmentally, the sleep training has also had a huge effect on my baby. He was able to roll over from front to back for about a month before we started, but he was very bad at it, and I had only seen him do it about 5 times. Typically, he would start to tantrum, scream, and cry, and no matter how much we left him, he would not roll over. After the amazing 12 hour night of sleep, he spent the next day rolling over and over, across the whole floor, having such a great time. 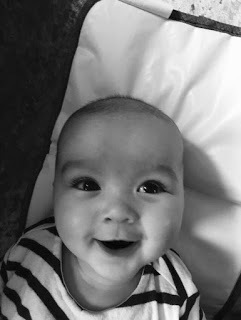 Since working with Violet, my son now consistently sleeps 11 to 12 hours per night with very infrequent wakings in the middle of the night, naps wonderfully during the day, and always wakes up with a huge smile. Not only was the price worth it, we think it was a complete steal!!! Our little man was very dependent on props to fall asleep and was waking 2-3 times a night to be comforted back to sleep. All three of us were suffering from lack of sleep, irritability and were at our whits end. 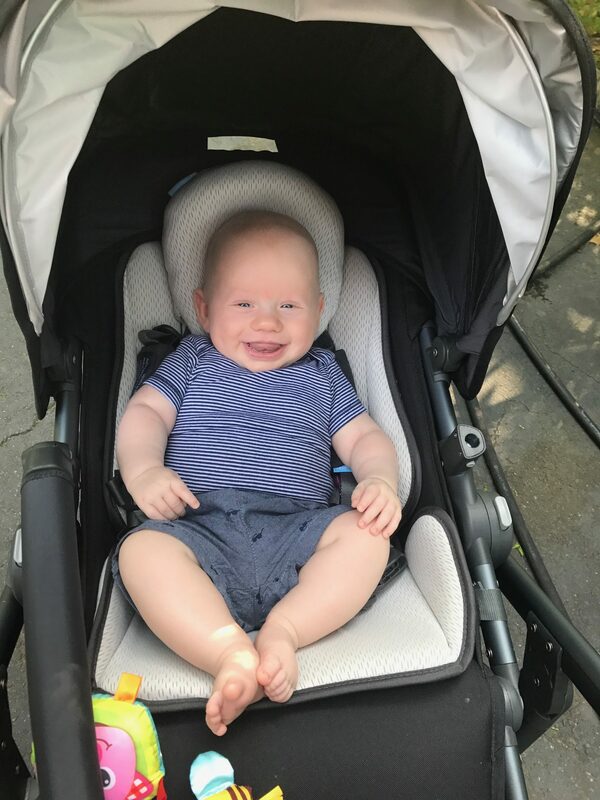 We purchased the 2-week package because we knew that it would take some time to learn a new habit and our little one had just about 12 months of us soothing him to sleep. The first 5 nights were the hardest for us but we still saw results and after that, we were astounded! Our little man was soothing himself to sleep for 12 hours a night! We made tremendous progress with two naps a day and we were all feeling great. After about 3 weeks with this new system in place, our little guy had a sleep over and still fell asleep (and stayed asleep) all on his own! My husband and I feel grateful and more in love with our little one than ever. What a difference sleep has made for our family! 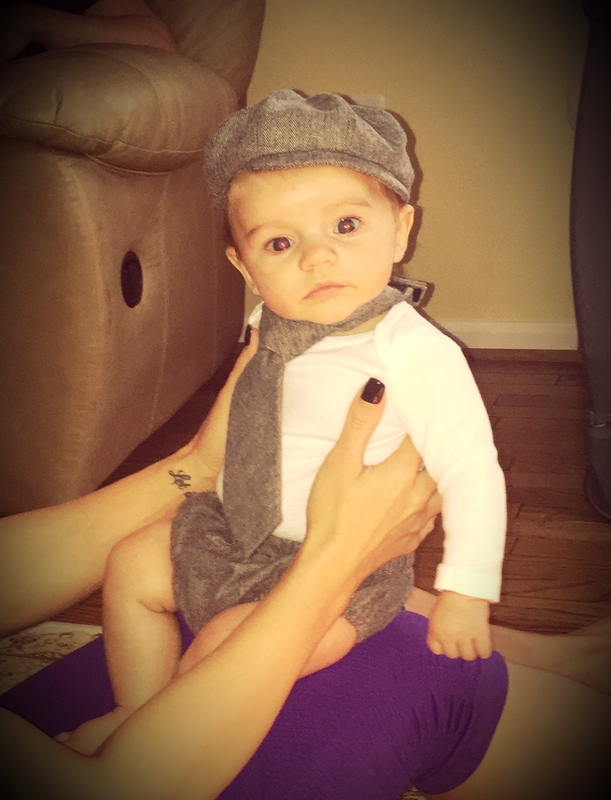 We are thrilled to know too that our little man is getting the rest he needs to grow and develop. Grateful beyond words! Sleep Baby Sleep has drastically changed our lives for the better. I recommend these services to every new parent. Violet’s support and guidance were invaluable. She answered all emails quickly, kindly and with clear instruction. We knew we were in good hands and our little guy sleeping through the night is proof! 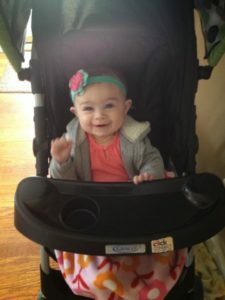 At 9 months, Lilla was waking several times at night and I had resorted to sleeping on the floor in her room. There were nights when she would go to sleep at 7, only to wake at 8:30 and not go back to sleep until after midnight. That was my breaking point. While we thought we had taught Lilla to fall asleep on her own, after contacting Violet, we found we were wrong. She was reliant on us to fall asleep and to stay that way. My husband and I committed to helping our sweet baby girl learn to fall asleep on her own and on the second night, I spent the whole night in bed for the first time in 9 months! No more nights feeds! On the third night, Lilla slept all night and has been doing so (most nights) ever since. Violet was our saving grace and we are so grateful for all her help, guidance and encouragement. We certainly could not have done it without her. Violet was amazing! By night 3 my baby slept with only a few wake ups but was able to smooth himself back to sleep. By the end of our one week session he was sleeping through the night with no waking at all!! My daughter has been up feeding every two hours from birth and not slept through once. We had to rock or feed her to sleep day and night and if she woke whilst putting her down to sleep the whole process would start again. 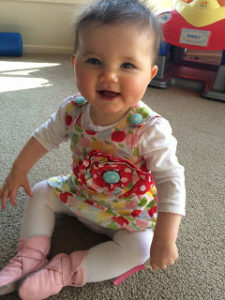 Six months old and I was shattered so we purchased the two week plan and within days we were putting her to bed a wake, I wasn’t feeding her during the night and she was sleeping through.Violets help has been fantastic and it was the best money I spent was worth every penny. If you are like I was a desperate for some sleep I would recommend you purchase a sleep plan. Honestly can not thank you enough for all the help you gave us. Can’t believe a few weeks ago I was crying in the middle of the night desperate for longer than 40 mins sleep at a time and now my baby girl gets up once a night and that’s it!!! She is so much happier, I feel well rested and I can go back to enjoying the good times during the day rather than stressing constantly and being so tired and grumpy! I don’t expect to have any other problems as you gave me so much invaluable advice to cover almost every situation under the sun, but if I EVER have issues I won’t wait. Would happily contact you again! Wish I had found you sooner! Violet was able to help me get my four month old on an actual schedule, which she never did before. My husband I would try to guess or think when it’s been too long for her to have been awake. Lola was always a horrible sleeper even as a newborn! And we thought babies were supposed to sleep but it would take us 45 minutes to put her to sleep! Then we discovered the exercise ball which we used to bounce her to sleep! And then you had a 50/50 chance of her waking up if you tried to put her down for her nap. Within 2/3 days Lola was crying maybe a minute or so and then falling asleep in her crib in her own room for all naps and bedtime sleep! Which she never did, she was in a bassinet in our room, still getting up once a night to feed. Now she generally takes 3 naps for about 3 hours total night time sleep and bedtime from 7:30pm-6:30am!!!! It’s nice to have a baby that sleeps and is now generally such a happy baby now, complete night and day difference. Now we KNOW when she’s tired and keep to her schedule. By the time I read all the info, and understood everything, it was the evening of my first day. I listened to Violet’s advice about bedtime, and my 7 month old sleep longer than she ever has!!! 11.5 hours! Violet is the best, and always got back to me quickly. Baby’s sleeping is improved 200000%! Before working with Violet, I was up with my son every few hours. I was letting him lead everything and along the way, he became dependent on me to help him sleep. 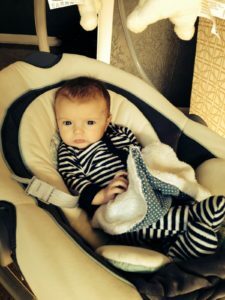 I also have two older children and was afraid that the baby would wake them up at night thus creating more of a problem….and so I would do anything to soothe him back to sleep immediately. I would nurse him, give him a pacifier, bounce him, rock him, wander through the house and then do it again after a few hours. After 7 months, I couldn’t do it any longer. I knew things needed to change not just for me, but for our whole family. During one of our late night sessions, I started searching for help and stumbled upon Violet and her services. After having two other children and not getting them to sleep through the night for the first nine months, I knew I needed someone to just listen and bounce ideas off of and to just support me as I ventured through this journey. Violet had great information. She listened and acknowledged my struggles. She was not judging; she just told me how it was and I respected that. She helped me by not just giving me the knowledge but by making me be accountable for helping to sleep train my son. I had said many nights before that this would be the night that I stopped having my son be dependent on me, but then I gave in. Working with Violet made me do what I needed to do to help him sleep on his own. When I went to email her, I wanted to let her know that I was following her advice and it was working. I didn’t want to email her with excuses and so I worked hard with my son because I knew we could do it. The second night, he slept from 8pm until I had to wake him up at 7am. Since that night, he’s been sleeping through the night. He still wakes some, but he is no longer dependent on me to help him get back to sleep. I have slept in my own bed all of the way through the night for the first time in over a year. I knew that we could do it, but I am not sure we would have been as successful if I didn’t have the support and personal guidance that Violet provided. She was our biggest cheerleader and I didn’t want to let her down. So I followed what she advised for us and believed in the process. It worked and I am so grateful. I would recommend her services to anyone that is willing to make a change for the better of their family. Our little one was a great sleeper starting at two months old. But at around three months old he began waking more frequently. Over the course of three months he was waking every hour to hour and a half for a quick “feeding” and back to his bassinet. Naps were a joke. He would fall asleep eating and swaddled only while being held, lay down and be awake in 30 minutes. As a stay at home mom, I was losing my mind! I was more sleep deprived at six months than in the newborn stage! After lots of Internet searches we found a book we thought would help. We tried cry it out. Our sweet baby cried until he was hoarse. On the third night of crying it out in his crib I cried three times longer than he did. Clearly this was not our solution. Then we found you! A mom on a blog was talking about how you changed her life. What could it hurt at this point ? You have changed our lives! Within one night we saw improvement. When we had questions I would just email them and would so quickly get a response. What you taught us will forever change our lives. New babies we have won’t have to cry it out because not only did you help us walk through this, you empowered us by giving us the tools we need to go through other transitions! We cannot thank you enough! 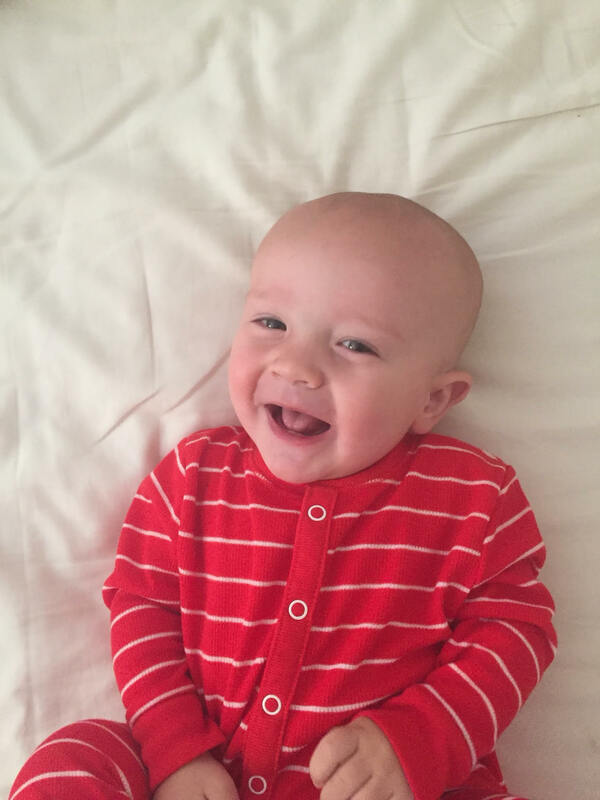 You gave us the best Christmas present…a happy rested baby (and happier rested mom and dad!). Thank you so much!!! Baby Elijah had developed a sleep association with feeding and was feeding more often at night than during the day which got me suspicious. I started my own version of sleep training. This of course involved lots of tears and I was afraid I was doing the wrong thing by my son and really needed some guidance as to if I was going about things the right way and what I should expect. Violet was always very responsive to all my questions despite living on the other side of the world and answered each one, no matter how silly it seemed, without judgement. Elijah has now slept 11hrs without needing a feed or any other intervention from me for the past 2 nights and I am a more confident mum when it comes to understanding my son’s sleep needs. My darling son was just 2.5mths old when he started having sleep troubles. He had to be carried to sleep during his daytime naps, the moment he hit the cot he’ll wake up crying and if we did hit the jackpot and manage to put him down, he doesn’t sleep for more than 30 mins. At night, he kept waking up every 1.5-3hrs for feeds and will fall asleep while being nursed. I didn’t think much of it as first and thought it was pretty normal for babies his age. 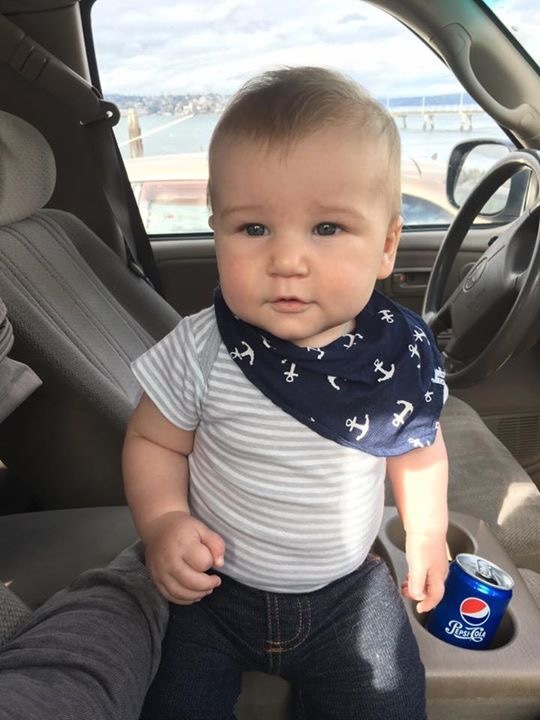 I was hoping that he’ll outgrow it but soon realized that it wasn’t going to happen and was starting to get physically and mentally exhausted. I went to research about sleep training and the initial impression I got was that sleep training meant having to use the CIO method which I was totally against plus he was only 2.5mths old. Then I came across Violet’s website which explained what sleep training was about and how to go about achieving better sleep for both baby and family. 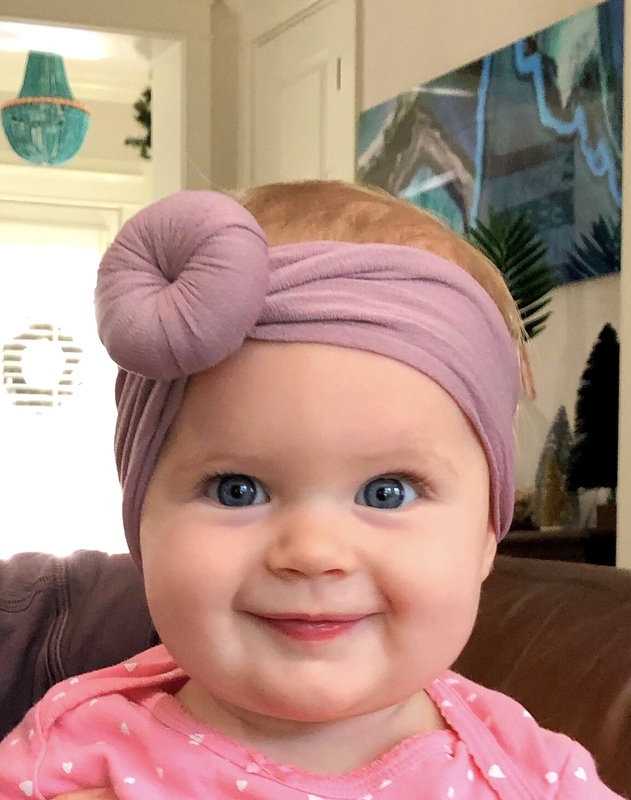 To be honest, I was very skeptical at first because I was wondering how is it possible for a baby to be trained without lots of crying and within such a short period of time. Plus my little one is very strong willed. Nonetheless, I decided to give it a shot because I was at my wit’s end. Before the program started, I was nervous and had tons of questions for Violet, all of which she patiently answered. I was also concerned about the time difference as I live in Singapore but Violet assured me that she’ll respond during her working hours and she was definitely very responsive. I was absolutely flabbergasted. By the end of 2 weeks and since then, he’s mostly able to self-soothe and fall asleep on his own. The program worked so incredibly well for me that I kept recommending it to my fellow mummy friends and 2 of my friends actually subscribed to it as well! If you had any doubts about sleep training your baby, don’t hesitate anymore. I had absolutely no regrets engaging Violet, she was so pleasant to work with and addressed all my concerns along the way and was also very reassuring and encouraging. Thanks Violet for giving both baby and us a good night’s sleep! Violet was absolutely amazing!! I truly appreciated the text/email option while working the process. I have already, and will continue to recommend people to her as this sleep training was a life saver. Our little man would not sleep through the night. It was so bad that my husband and I had to take shifts to tend to him each night. Our need for intervention became glaringly apparent when I had to return to work and could no longer share the night shifts. We bought the package that included the text and email option and this was crucial for us. Having instant access to Violet while we worked the nap/sleep process was imperative to our success. It provided us immediate assurance that we were doing all the right things or gave us additional tactics to employ on the spot. Calum is now sleeping through the night!! YAY! Thank you from the bottom of my heart!! 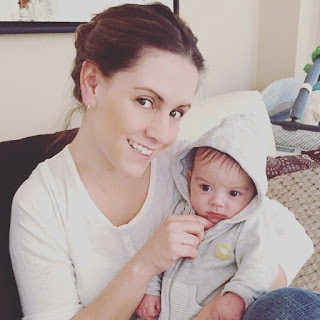 After a nightmarish experience with a so called “sleep doula”, who basically wanted our baby to scream it out with a rigid, impersonal schedule, my husband and I were ready to throw in the towel and just accept that our son was a “difficult baby”. Luckily, I stumbled across one of Violet’s plans for another family and I was immediately blown away. What a breath of fresh air. I had to hire her immediately. We had a great experience working with Violet, and our son Gabriel made a lot of progress during the two weeks of our package and thereafter. Before we consulted Violet, Gabriel would only fall asleep through nursing or rocking, and would need to sleep in our bed. By the end of the two weeks working with Violet, Gabriel was putting himself to sleep without assistance in his crib, and sleeping for longer stretches both for naps during the day and overnight. All three of us – Gabriel, my wife, and myself – benefitted from his improved sleep. My wife and I were also able to get more sleep and feel more refreshed in the morning. Violet was great to work with – Gabriel’s initial sleep plan and her guidance was straightforward and easy to implement. She was very prompt in responding to our emails during the two weeks, and provided customized responses to our questions. Quickly within the two weeks it seemed like she really understood both our and our son’s sleeping situation. Overall, we were very pleased with Violet and have happily recommended her to parents we know. Our little guy, Mason, hardly slept anywhere besides our arms for the first few months of his life. We were growing more and more desperate by the day (or should I say night) and needed help. I did a lot of reading online, but as a first time mom really needed the guidance of a professional. The first day of the plan I was dreading the night all day because I was fearful it would be miserable, but you know what? Our son slept. He only woke up once during the first night. And the second night he slept for 11 hours! A funny story, my husband thought I was crazy for wanting to hire someone to help us and complained to his coworker about me spending the money on it. The day after our son slept 11 solid hours his coworker asked him how it was going and my husbands response was “I would have paid double to Violet!” He has since gone on to rave about how amazing the plan worked for us. My husband and I could not be more grateful to have our son sleeping through the night and allowing us to finally feel normal again. Thank you! On my 10 year wedding anniversary I finally had all members of my family sleeping through the night thanks to Violet. A week prior I was so exhausted, delerious from lack of sleep, and desperate to get real sleep again. My sweet little 10 mo old girl was waking up every 2 hrs to nurse herself back to sleep. As much as I loved the cuddle time I couldn’t be without sleep anymore and neither could the rest of my family. My first daughter slept through the night at 4 months so I never had this problem before. I read all the different ways to sleep train and had a lot of advice from friends and family. Unfortunately different methods I tried either didn’t work or I just wasn’t comfortable with. I really just needed someone to flat out tell me what to do every step of the way. Before I found Violet I was searching the Internet for solutions to my little ones sleep problems. I bombarded myself with information but just became more and more confused about what I should do. I stumbled upon Violet during this search and after some thought, decided to employ her services. Violet listened to my pleas and came up with a sleep plan. Within 1 night, yes 1 night (!!!!!) my daughters sleep problems were cured! To be more specific, it took 30 minutes of following Violets plan and my daughter slept for 10 solid hours!!!!!! I could not believe it! It has been 6 days now and every night my daughter sleeps 10 hours straight. No feeding, no rocking, no bouncing, no dancing around the bedroom at 35 degrees trying to get her to sleep! Just laying her down in her cot and within 5 minutes she’s asleep! Daytime naps are no longer in a car seat/bouncer/ sling/ pram (unless on the school run)- she sleeps blissfully in her cot! Violet is a miracle worker! We were going on several weeks of terrible sleep after moving Elliott to the crib from the Rock & Play. He was waking up every hour all through the night and barely sleeping during the day. Crying was at an all time high and we were at the end of our rope. I found Violet through a Google search on a Baby Center forum and took a chance. I have no regrets!! On night number one, Elliott slept six hours and things only got better. He now naps with no struggle (most days) and sleeps from 7:30 pm until 6:00 am with only one night wake to eat, and he’s back to sleep in under a half hour. We have a happy baby now. He’s done a complete transformation & we owe it al to Violet. She was so patient and kind and had quick advice for every question. 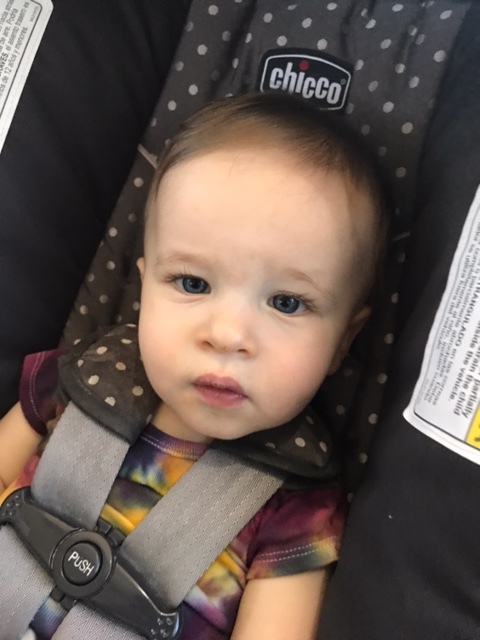 Our 9-month-old son Jack was waking up multiple times a night and only napping for short periods of time. Within less than a week, he was sleeping 11 to 12 hours at night and napping for 1 to 2 hours at a time! The best part of it all however, was that we were able to get to this point GENTLY. We were always able to comfort him and never felt like we were leaving him on his own. This helped us feel confident in the process and he responded very well to this method. We are so proud of him, so thankful to Violet and so happy to be sleeping! Violet always responded quickly with clear and concise help, we knew exactly what we needed to do next. When our 2 weeks was up, we felt confident to continue moving forwards and felt educated ourselves to handle sleep in the future. 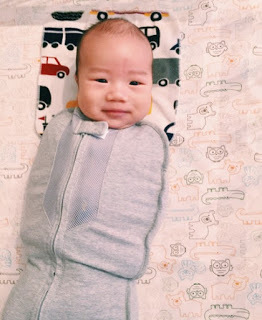 This was life-changing and so wonderful to know our sweet son is sleeping well! Once I received your sleep plan for Mason, looked it over, and committed myself to making this work, I spent that first night hardly able to sleep I was so anxious. I was prepared for the first night being the worst night ever. Surprisingly it wasn’t that bad, and then when Mason slept through the night that second night, I thought beginner’s luck for sure! But then he continued to sleep through the night… EVERY night! Amazing! Long story short… you’re AMAZING! I cannot thank you enough for everything you’ve done for my family in two short weeks. We are all sleeping better and in a predictable routine, and that makes for a very happy household! You’re instructions are so precise and easy to follow, and it really helped to have a step by step plan. The best part… talking to you was like talking to a sister or best friend! Someone you could go to for advice and still be so kind and encouraging. I’ll miss talking with you daily! I will never be able to thank you enough! You truly are a lifesaver! 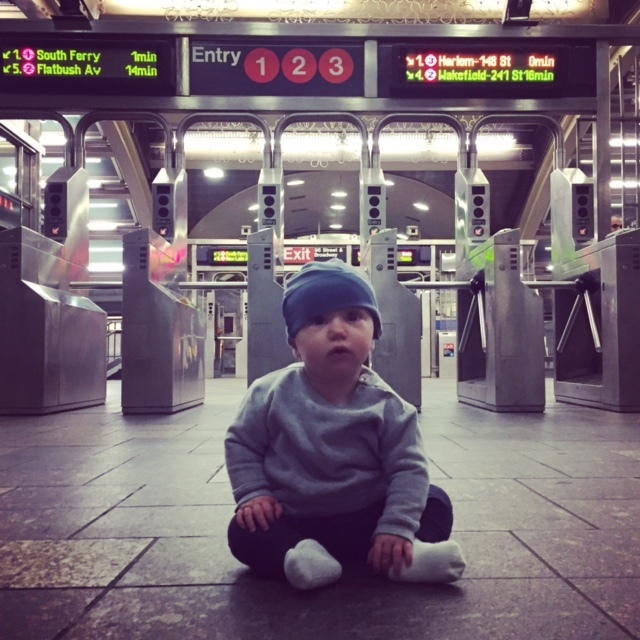 Emile, at 10.5 months, had never consistently slept more than 3-4 hours at a time overnight. 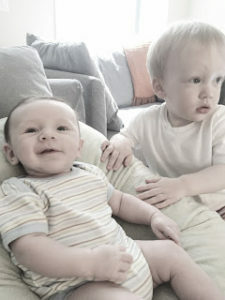 When I contacted Violet and she gave us a sleep plan for Emile, he was sleeping 10-12 hours at night within two days! Now he has really gotten into a great rhythm of napping at daycare or home and, without fail, goes to sleep easily at bedtime and sleeps all night. 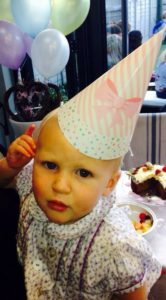 It’s incredible how quickly Violet’s plan worked – it was easy for us and for Emile to adapt, and now everyone in the house is sleeping better! Carson went from sleeping in bed with us or on my lap and waking up 3-4 times a night to napping in his own crib and sleeping 10-11 hours a night by himself! He learned how to put himself back to sleep and it has changed our lives! Thank you!! 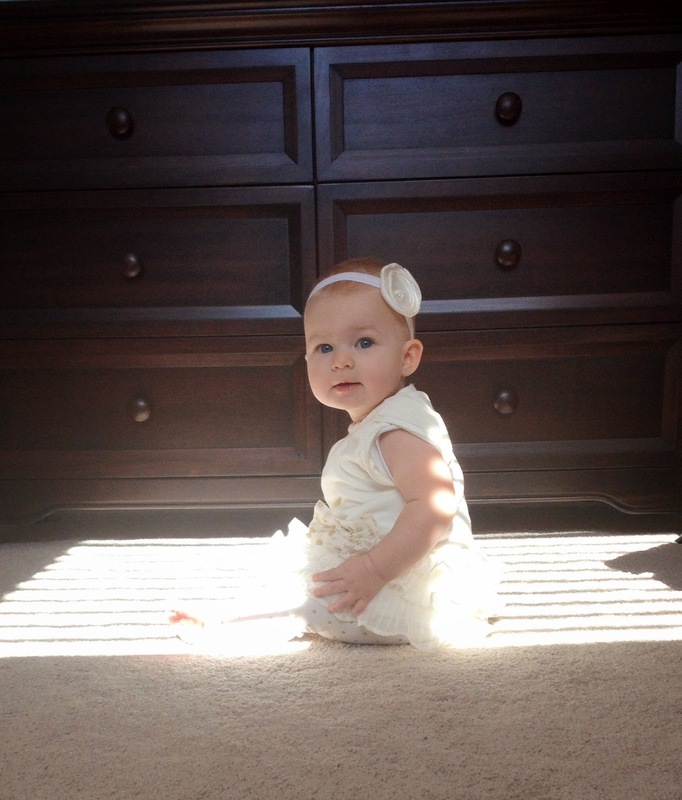 We contacted Violet seeking help with getting our 3.5-month-old daughter to sleep in her own crib. 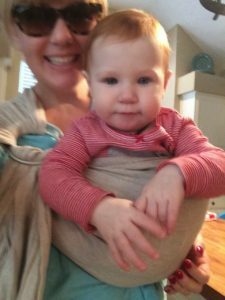 For weeks I had been nursing and/or bouncing her to sleep, and then holding her while she slept for every nap and even overnight – waking at least 2 or 3 times each night to feed her. I was so drained. We purchased the 2 week package thinking that we would need every bit of that time just to get our daughter to sleep independently. I never dreamed that she would be sleeping through the night in her own crib just 10 days in. Violet was so great to work with. She provided us with complete instructions and responded quickly to every e-mail (and there were many! ), walking us through the process every step of the way. The results were incredible and life-changing for us. We love our little girl dearly, but to have evenings to ourselves and get a full night’s sleep is a wonderful thing. Not to mention, our daughter is so much better off and clearly a happier baby now getting all of the sleep that she needs as well.